Each year, the Tennessee 4-H program recognizes a supporter who has gone above and beyond to support 4-H Youth Development. The Tennessee 4-H Foundation honors outstanding individuals who have significantly contributed their time and resources to help young people enrolled in 4-H all over the state. This year at Congress, we honored Dr. Joe DiPietro, the 24th president of the University of Tennessee, with the 2018 Friend of 4-H Award. DiPietro joins the ranks of other highly distinguished individuals who have supported the program throughout the years. “I am deeply honored to have been named a friend of Tennessee 4-H. As someone who has both benefited from and gladly used my platform, first as chancellor of the UT Institute of Agriculture and later as president of the statewide UT system to further 4-H, this recognition is among the most meaningful honors I have ever received,” says DiPietro. After earning a bachelor’s degree in animal sciences at the University of Illinois, DiPietro pursued veterinary school. He then opened up a veterinary practice in Peotone, Illinois, a farming community with a large number of dairy farmers and horse owners. His interest in higher education was intensified during this period and he returned to the university as an instructor. DiPietro was a model instructor and quickly filed through the ranks. Eventually, DiPietro became the Dean of the Veterinary Medicine School at the University of Florida before coming to the University of Tennessee’s agriculture program. 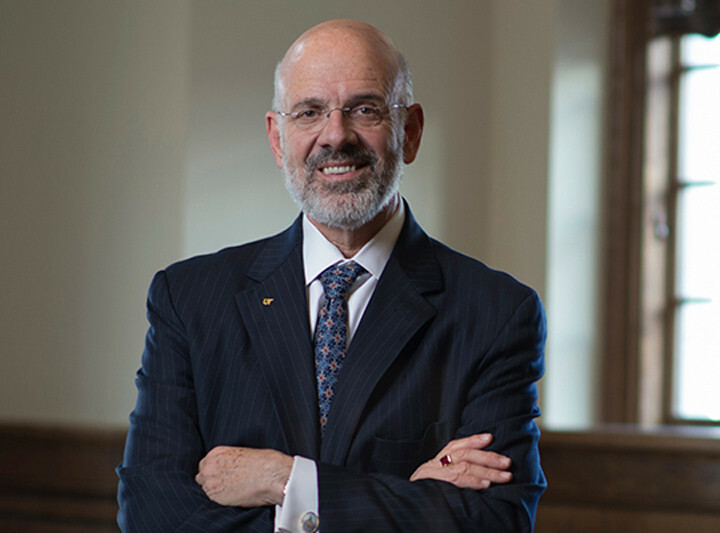 During his tenure as President, DiPietro has remained heavily involved with the different organizations throughout the University’s System. “I know the impact 4-H makes in the lives of individuals and their abilities to succeed, and on society and quality of life for all Tennesseans. I am grateful, and I will take advantage of this designation as a means of winning further support and recognition for the benefits of all that Tennessee 4-H does for our state,” explains DiPietro. DiPietro has been both a loyal friend to the University and the Tennessee 4-H program and we couldn’t think of anyone more deserving of the award!